Who will scale the wall? The 2018 MOTUL FIM Superbike World Championship travels to Europe for the first time this weekend, with MotorLand Aragon playing host. There was a time when the Kingdom of Aragon stretched as far as Italy, but it's been Italians that have made it their fiefdom in recent years. Ducati have picked up a win here every year for the past three, and Chaz Davies (Aruba.it Racing - Ducat) is the most successful rider at the circuit. The Welshman has taken the flag on six occasions and, having been victorious last time out in Thailand, he'll be keen to continue his strong start to the season. That start has seen Davies move within 12 points of Jonathan Rea (Kawasaki Racing Team WorldSBK) in the standings. Having trailed his rival by up to 40 points in recent years, it's not hard to see why Davies is feeling confident. The 31-year-old will feel that he has a genuine chance to leave Spain as the championship leader. Last year Rea ended Davies’ run of Spanish successes, after a thrilling Race 1 battle saw Davies make a mistake and crash out of the fight with the Northern Irishman. In Buriram the Kawasaki was the fastest bike on track, with pole position and a fastest lap for Rea. But in Race 2 he had to fight through the pack with brake issues, which curtailed Rea's charge. Even so, you could see the Kawasaki was struggling for top speed, so it will be very interesting to see if that was due to gear ratios or the changes from the new regulations. With fixed gear ratios in place for the season, the effect of losing top end RPM has hit Kawasaki hard, and how they react to that will be very interesting. The team has had to adapt their bike to generate its lap time by carrying more corner speed. Aragon, and the following round at Assen, should allow a clearer picture to develop of what to expect in 2018. 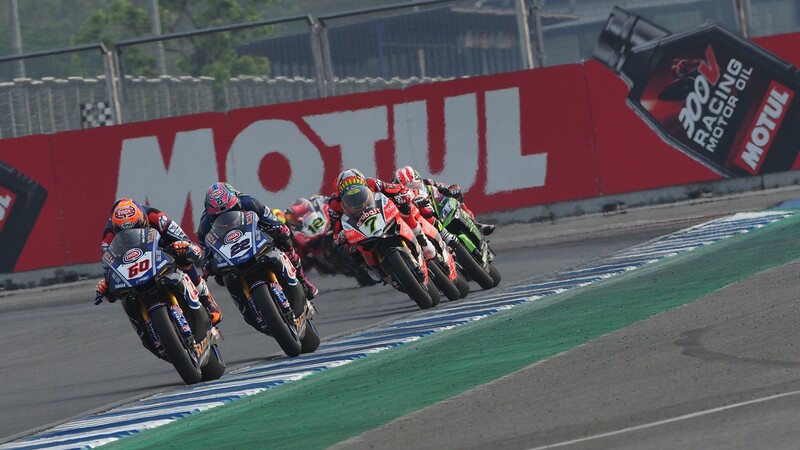 The opening rounds of the World Supersport 300 and European Superstock 1000 championships are also on track this weekend, so Spanish fans will have plenty of live action to enjoy. The support classes always produce great racing, but it's been the action in WorldSBK that has been taking the breath away in 2018.